Google does everything well, including keeping and inspiring its employees. How they do it is not really a secret and to help others learn from their experience Laszlo Bock, the Head of People Operations at Google, has written a book called Work Rules. Bock says it might sound corny but people really are the most important thing at Google. They take hiring very seriously and say that, despite receiving 2 million applications a year, they hire only several thousand of the 2 million applicants, which ‘makes Google 25 times more selective than Harvard, Yale, or Princeton’. Google, Bock says, has actually built a sophisticated infrastructure that results in every application getting consideration—and the company even has a team to review applicants who’ve been rejected from the regular process, just to give a second look in case someone potentially valuable has been missed. Google is picky about who they hire and that has been one of their secrets for success. "It's our people," he insists in an interview with Fast Company, acknowledging that it's the kind of answer that can sound a little corny. But it's also a reference to how intensely the company focuses on the hiring process—choosing people well and reaping the rewards from its selectivity. Once you are hired by Google life keeps getting better and not just because of the perks. People matter at Google, "We actually did a survey once where we talked to the first 100 people hired at Google and asked them what made the place special, and one of the top two reasons everybody said was the quality of the people," he continued. "Another thing that’s special about the company: We give our people tremendous freedom. And we underpin our people practices with real science and data. We use science to figure out what makes teams work." Google, Bock says, has actually built a sophisticated infrastructure that results in every application getting consideration—and the company even has a team to review applicants who’ve been rejected from the regular process, just to give a second look in case someone potentially valuable has been missed. Bock offers sage advice when he comments how much we as individuals contribute to our place of employment, ‘Even if you join a company fresh out of school, as a junior employee or as employee number 1,000,006, you can still be a founder by choosing how you interact with those around you, how you design your workspace, and how you lead," Bock writes. "In doing so, you’ll help create a place that will attract the most talented people on the planet." And you don’t have to spend a lot of money to have this kind of culture. Bock says ‘giving employees the freedom to carve out a percentage of their time to pursue whatever they want—doesn’t actually cost anything. Even in a time of flat wages, you can focus on making your people happy; indeed, that when the economy is at its worst, treating people well matters most’. •	"Hire only people who are better than you." •	"Don’t confuse development with managing performance." Our favorite takeaway from this interview is simply stated but always true,’ Treating people well matters most’. 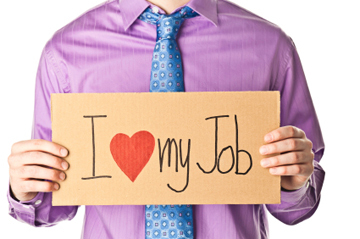 To find out how your employees feel we recommend you begin with an employee opinion survey. Only when you have accurate information can you begin to make changes that will make a positive difference. Contact us for more information at www.insightlink.com.